Bruckner: Symphonie No. 6 Here is a Bruckner 6th to stand the test of time; and indeed this performance has. 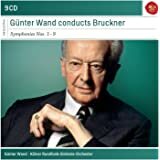 Where other conductors fail to grasp Bruckner's huge symphonic paragraph, Old Klemp brings a certainty of symphonic ensemble and structure to the reading. Often annoying in recent digital recordings is a dry, harsh, overloaded brass glare and hashy Bruckner string sound. 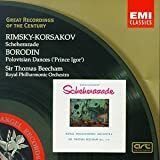 Lacking only the digital dynamic range of a modern digital sound take, this analog sound capture reveals detail, accurate tone, real orchestral playing not often heard by orchestras less schooled in Bruckner. 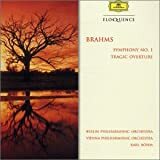 There is a place for this, and other Bruckner recordings in any Bruckner collection. This is a performance to cherish. Because I don't own multiple recordings of most Bruckner symphonies, I always make my reviews about the music. 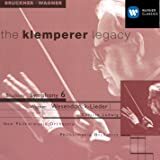 But I would just like to comment that Klemperer is one of my very favorite conductors, so it's not a surprise for me that he interprets this symphony so convincingly. This work is usually tossed into the "cute and small" bin, as if it was Bizet's Symphony in C. NOT THE CASE, my friends. There is no less drama and power in this symphony than any of Bruckner's most powerful. What it has that some of the later ones don't is a general conciseness with material, and the powerful sections are that much more effective because of it. Don't get me wrong: the Third Symphony is a favorite of mine, but my point is that No.6 is unfairly passed over when it should be one of the first recommended (especially to listener's who find Bruckner difficult). It is surely his most accessible symphony along with No.4 and (I argue) No.2. This CD fills out with two Overtures, one a magnificent potboiler arranged by Wagner from themes of Gluck's opera "Iphegine in Tauride," and the other Humperdinck's "Hansel and Gretel." Both are wonderful in their own right, but it's the Bruckner you NEED to hear. 5つ星のうち5.0Do not underestimate the power and beauty of the Sixth. If you love Bruckner's other symphonies, the sixth is an important addition. Klemperer loved this one. The conducting and sound is absolutely first class. EMI has gotten more mileage with reissues than any other classical label. Sure they have the greatest archive of recordings in the history of music sitting in their vaults, but how many times do they have to reissue the very same performances on CD? 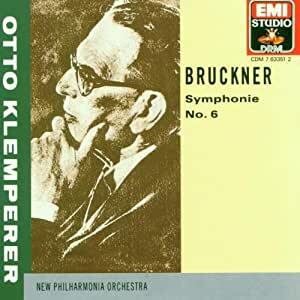 Otto Klemperer's 1964 account of Bruckner's 6th Symphony is simply the best recording of the work ever made. However, if you previously owned it via the "Klemperer Legacy" series, there is no need to "upgrade." The sound is identical to the Legacy set as they were both remastered using the same technology. The inclusion of the Gluck and Humperdinck pieces is a nice touch, but they have been previously available as well. In all, this is certainly a five-star performance, but EMI gets a one-star deduction for continually putting a new face on the same classic product.